John Czajka is a general litigation paralegal with additional experience in asbestos and collections matters. He has worked as a paralegal for 25 years. Mr. Czajka reviews discovery answers, obtains medical records and witness statements, prepares medical chronologies and notices for deposition and schedules depositions. In addition, he indexes deposition testimony, locates expert witnesses and obtains their prior deposition testimony, as well as prepares subpoenas and arranges for their service. Mr. Czajka also appears in court to obtain hearing dates and to file pleadings. Mr. Czajka joined Hinshaw & Culbertson LLP in February 2004. Previously he was a paralegal for four years with Husch Eppenberger and also with Polisinelli, Shalton & Welte, where he was heavily involved in asbestos case work. From 1999 to 2000, he was a general litigation paralegal with Suddarth & Koor, and from 1992 to 1999 he was a collections paralegal with Newman, Freyman, Klein & Gamach and also Riezman & Blitz. 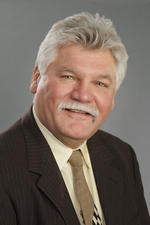 From 1980 to 1992, Mr. Czajka was a general litigation paralegal at R.G. Constantinou, P.C. Mr. Czajka holds a certificate in Federal Debt Collection Practices Act from the Missouri Bar Association. At one time he was a certified emergency medical technician.